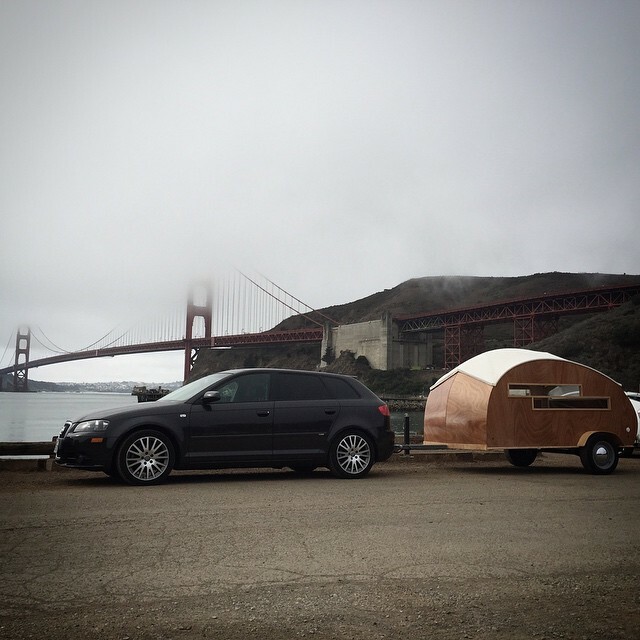 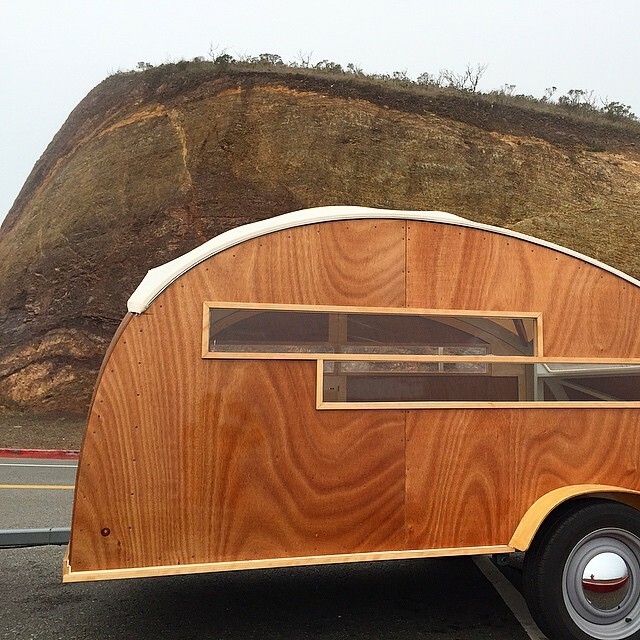 Today we want to show this sleek teardrop trailer called a Hütte Hut (“Hütte” in German also means hut). 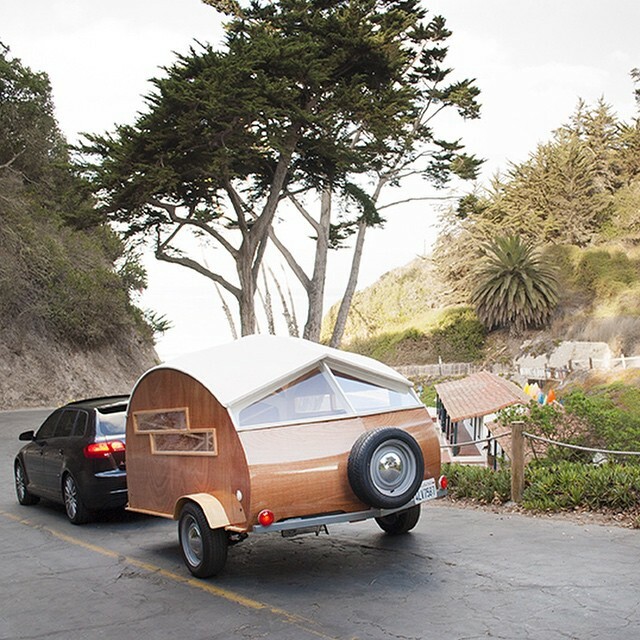 The Hütte Hut is hand-built by the husband-and-wife team of Brian and Katrina Manzo at Sprouting Sprocket Studio in Carpinteria, California. 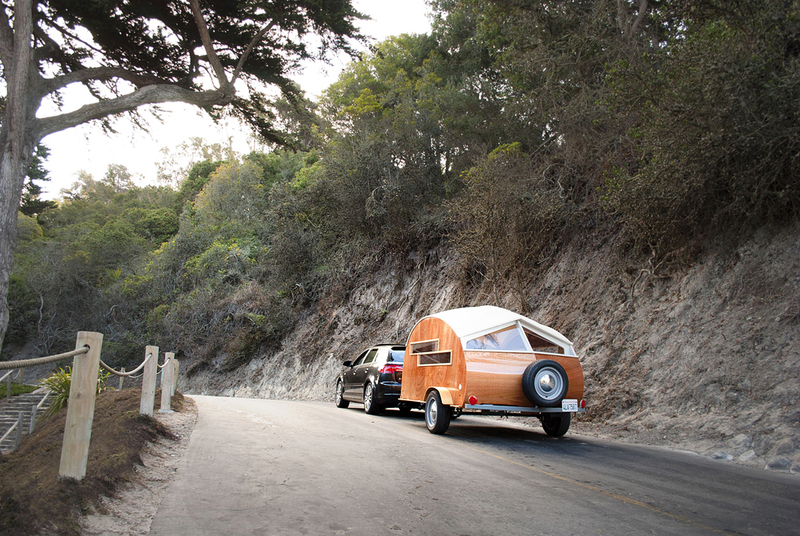 This wood-and-canvas tent on wheels offers a small but charming space to rest on your journey, featuring plenty of natural light and eye-catching exterior that will surely stand out on the interstate. 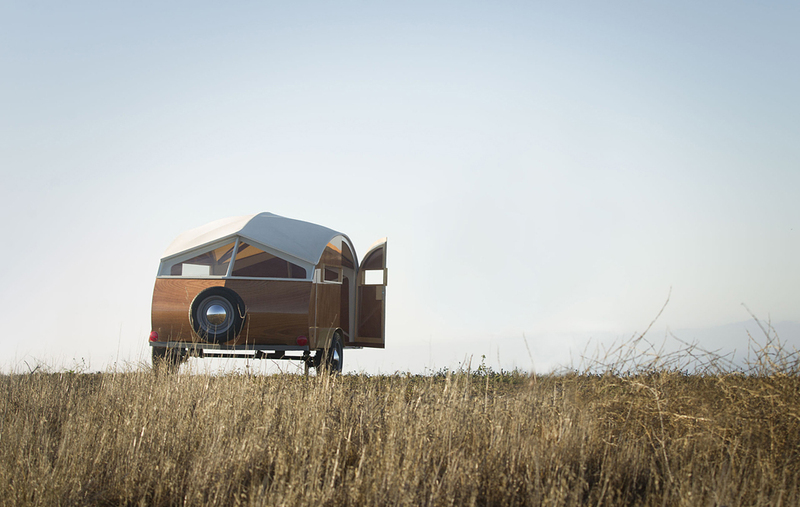 It’s a prototype at this point, but the couple envisions future versions to be built with a computer-controlled wood-cutting machine. 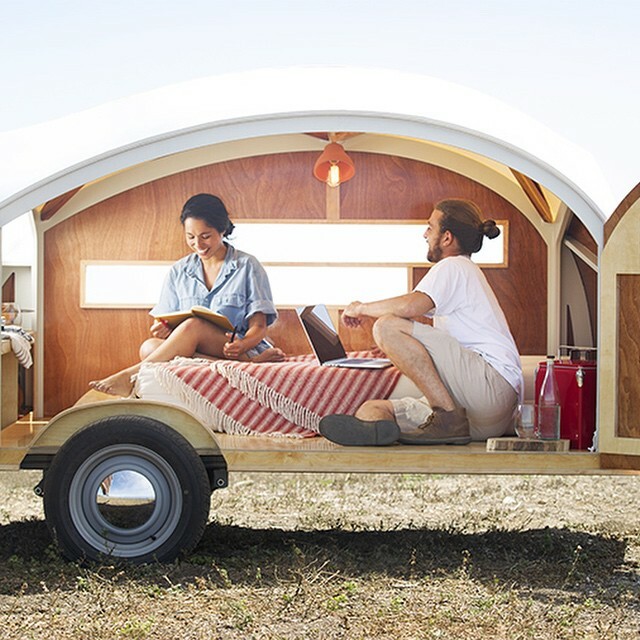 They apparently got the idea after a trip to Amsterdam where they stayed at the citizenM Centraal, a hotel made up of more than 200 shipping containers.